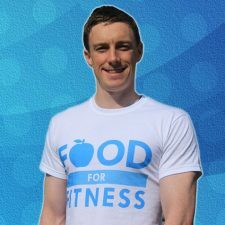 Food For Fitness was created by Scott Baptie to provide people like you with simple, individual, enjoyable and healthy nutrition and fitness advice to help you move, look, feel and perform better. Founded by Scott Baptie in Aberdeen in 2012, Food For Fitness works with people of all different shapes, sizes, abilities who want personal, evidence-backed advice, tailored to support their goals. Lots of people come to us who are frustrated with a lack of progress. They might be struggling to lose fat, build muscle or improve their sporting performance. They might have fallen victim to following FAD diets, extreme nutrition approaches and eating repetitive, tasteless food. Perhaps they find it a challenge to stay on track and be consistent, and are fed up with stop-start cycles and fleeting health kicks. Well, we take an evidence-based approach to nutrition which we combine with working with hundreds of clients to create personal nutrition strategies based around our clients lifestyle, food preferences and goals. It's simple - we teach people about what to eat rather than preach to them about foods they can't. The result - they make fantastic, lasting progress... without the rebounds! If you're interested in learning more about how we can help you achieve your goals whether you want to learn how to eat better, lose fat, improve sports performance, improve your recovery and fuelling or maybe to build muscle then you're first port of call is to sign-up to our newsletter. We'll send you some free helpful guides and advice that will allow you to make real progress right away. Thousands of people already subscribe and we hate spam so we never sell your email address and we'll keep it really safe. We staff only a very limited number of superstar nutrition coaches. Why? Well, we found it very difficult to find nutritionists that can translate the latest nutrition science into simple terms that everyone can understand. Secondly, our team knows how to “coach”, they know what to do to ensure our clients learn, progress and get results. They don’t just bore people with lectures on vitamins, minerals and whole-grains. We’ve worked with over 500 happy clients who love our approach, from complete beginners to professional sports teams and athletes to FTSE 100 companies. Scott Baptie (MA Hons., MSc) is a physique and sports nutrition specialist and fitness model who specialises in fat loss, muscle gain, physique transformations and nutrition for sports performance. He likes to challenge and encourage his clients to surpass their physical and mental boundaries by using effective, scientifically-proven nutritional strategies to help them achieve their goals. 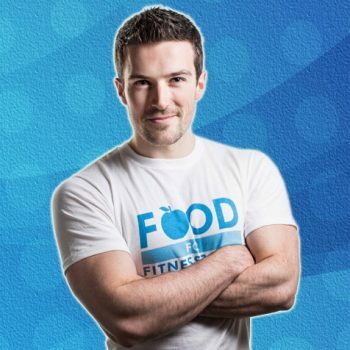 Scott also provides nutrition advice for several of UK’s leading sports nutrition companies, presents on the topic of nutrition and fitness and contributes to a wide range of publications. 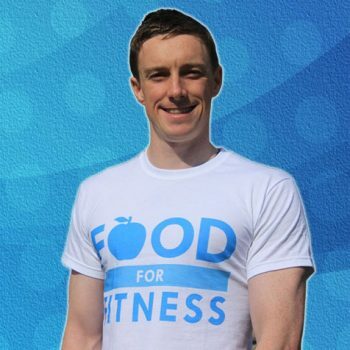 Jono has worked with Food for Fitness since early 2013, when he became the first additional member of the FFF family. During this time he’s consolidated his experience as a professional athlete, personal trainer, academic and nutrition coach, to hone his practice. It’s Jono’s mission to empower clients and, by increasing their understanding of nutrition and exercise, hopes to reduce their risk of morbidity whilst increasing their lifelong health prospects. He has a 1st class honors degree in Sports and Exercise Science from the University of Aberdeen and a MSc in Human Nutrition (with molecular specialisation) from the Rowett Institute of Nutrition and Health. 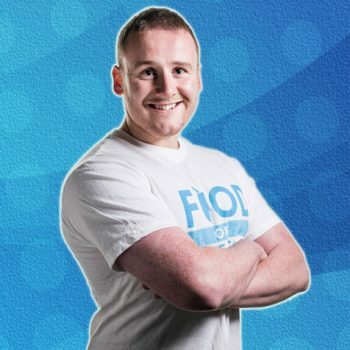 Jono is also an ex-professional athlete, having spent 3 years on the roster of SPL side Inverness Caley Thistle FC where he now acts in an advisory capacity for their youth academy’s sports science team. Out with his coaching duties, Jono can be found on PubMed, in a cafe reading his Kindle or Netflix and chilling. Louise is our Head of First Impressions so she is the friendly, first point of contact you will have with us. 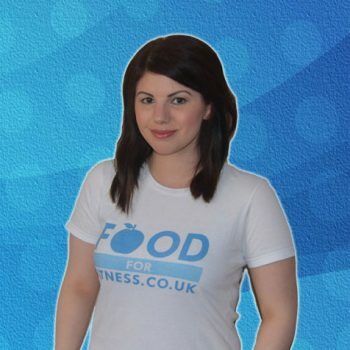 She will help you find a plan that’s best for you and get you started on your Food For Fitness journey. Louise loves to keep fit and healthy and her two young boys are always keen to test out our new recipes and give their seal of approval. Neil is a former semi-professional footballer, marathon runner and triathlete. He is a Precision Nutrition certified nutrition coach and is currently finishing off his post-graduate degree in nutrition at the University of Barcelona. His interest in nutrition was ignited after a spell of travelling in South America, trying all the local delicacies and realising that people thrive on very different ways of eating. He enjoys using evidence-based methods to help his clients find strategies that fit their lifestyle and achieve their physique, sporting and fitness goals. Neil also helps to cook meals at a local homeless charity.